Recently, I have been experimenting with different expressions. It was based off of the idea that people don't often use expression genuinely; their faces don't match what they actually feel. I therefore combined important areas for expression- the lips and eyes- from different faces to convey the idea. When I combined them by simply replacing some areas, it looked rather strange so I moved on to divide them in the way shown below. I then used the divisions, mixing and matching them to create the work shown below. I experimented with using angled sections and placing them in different areas. I then used the combinations such as the ones above and used them with different slogans and color schemes. 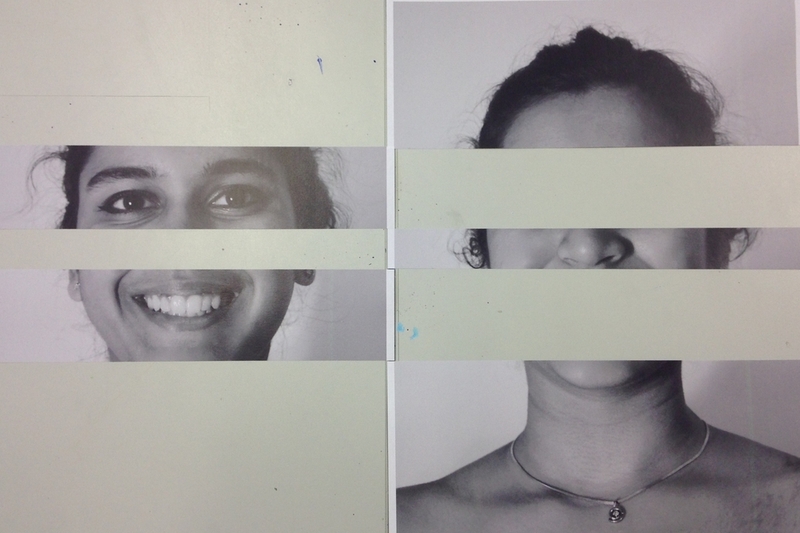 This resulted in 3 different final works which may be used in my exhibition around the theme of body language.